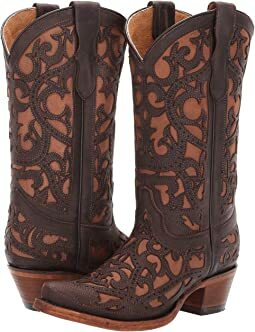 Corral Boots™ footwear is made by the finest craftsmen using only top quality leathers and exotic materials. 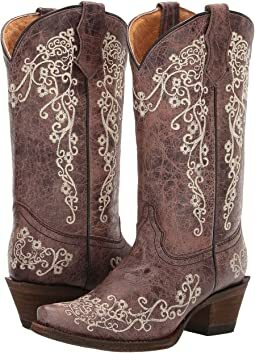 Throughout the last century, expert bootmakers have journeyed to Leon, Mexico, which is considered the heart of boot making in all of North America. 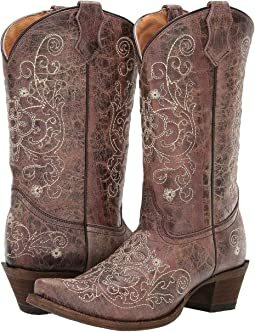 There they employ only the most experienced bootmakers and leather workers to create the Corral Boot line. 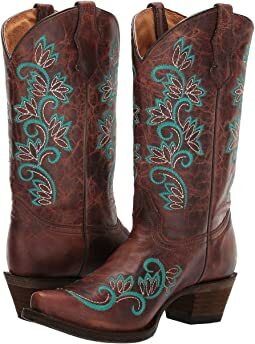 Each boot is handcrafted, one at a time, to ensure the unique design and incomparable quality that has become the trademark of the Corral brand. Their processes are carefully executed and supervised by the most qualified artisans in order to ensure every boot's fit is perfected for their customers. Each boot is tailored to feel like a custom boot every time you try one on. 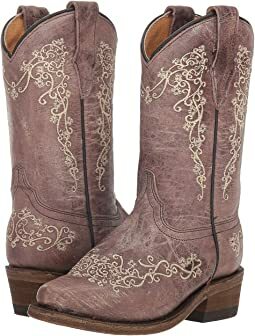 The design team at Corral Boots works on the forefront of leading global trends by working with expert sources in the fashion industry. 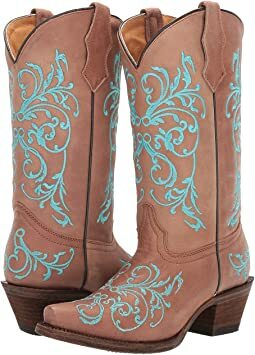 The inspiration for Corral Boots' designs come directly from elements of nature and fashion, creating a truly unique Western lifestyle and brand. 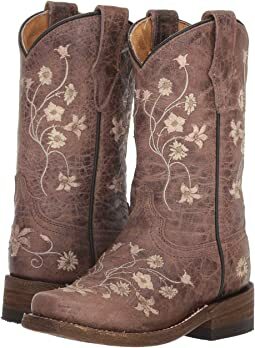 With an extensive catalogue of styles to choose from, Corral Boots caters to not only those who love Western fashion, but also to their mainstream customers that enjoy a more urban look. 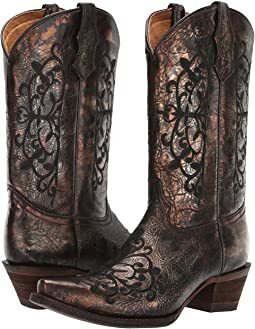 They know that once you try a pair of their boots, you will become a Corral Boots customer for life. 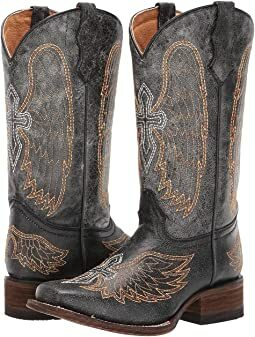 These boots are gorgeous. 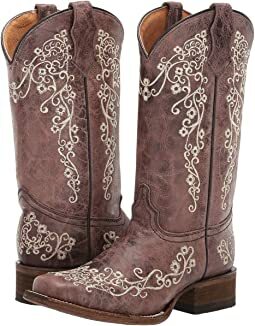 Love Corral Boots. They are tts. Perfect for casual wear and dresses. Highly recommend these! 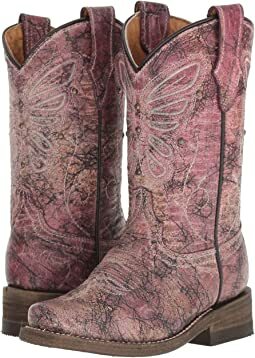 I LOVED these boots when I first saw them online and in person but they ran big for my daughter. 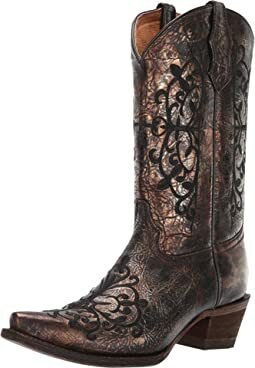 She wore them indoor for a short short period of time trying them on and they were so big to the point her whole foot was slipping out when she'd walk. 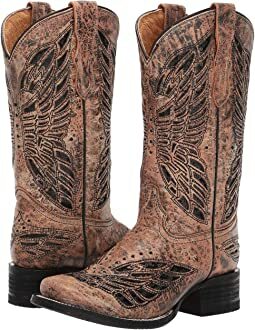 Would definitely buy the next size down if it was offered! 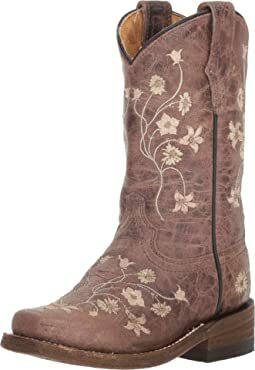 You cannot go wrong with Corral boots!